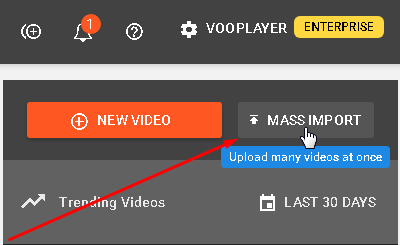 Once you have migrated your v3 account, you will be able to migrate all of your previous videos as well. 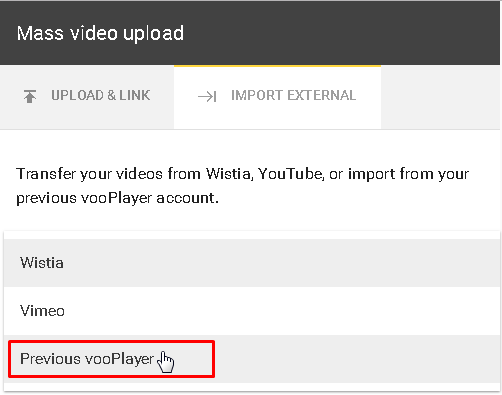 On the IMPORT EXTERNAL tab choose Previous vooPlayer. You will need to provide your previous credentials, so we can find all of your videos. 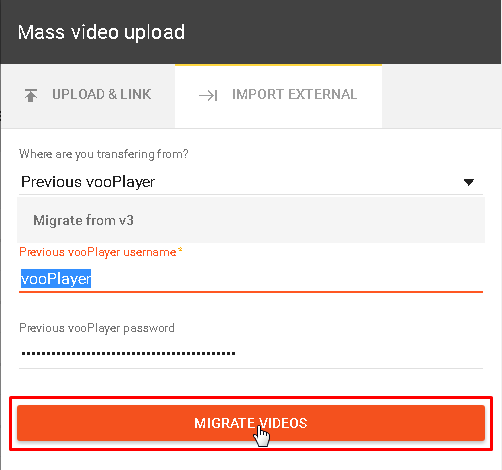 Finally, just click on the MIGRATE VIDEOS button and the process should be done fairly quickly.